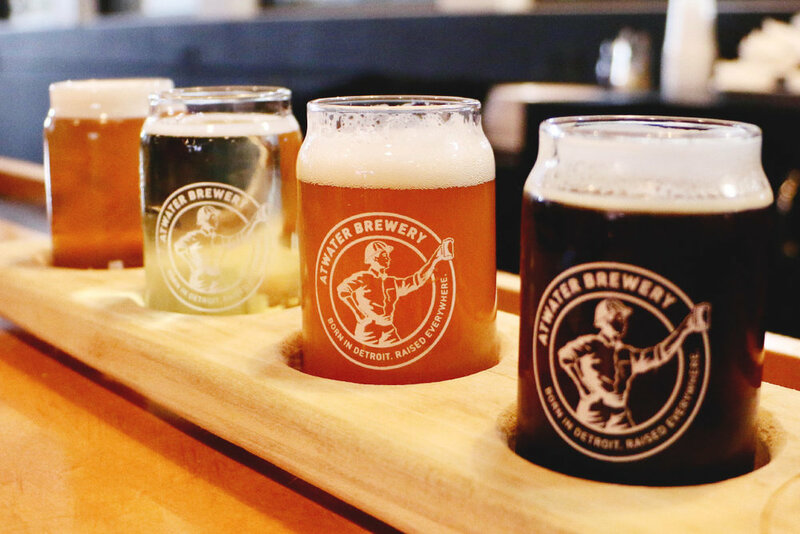 Tucked away in Detroit's historic Rivertown district, Atwater Brewery's Detroit Tap House (originally named Atwater Block Brewery) is one of the oldest breweries in a state with a rich brewing tradition, having opened its doors in 1997. While brewing German inspired beer and "boutique" ales for over two decades, Atwater has experienced its fair share of challenges, including a change in ownership in 2005. 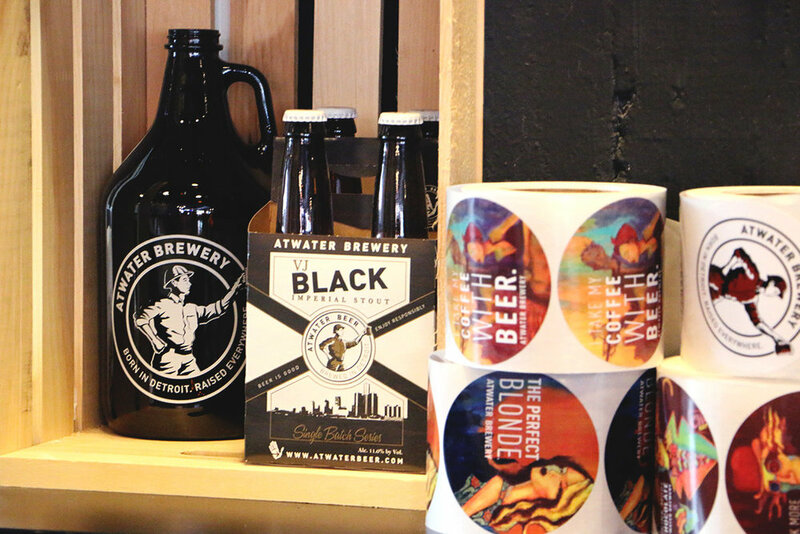 With a renewed focus, Atwater has expanded its operations over the last decade, distributing across the country, opened a beer garden in an old church just outside of Detroit, and added a second Tap House in the Michigan beer hot spot, Grand Rapids in 2016. My first trip to the Detroit Tap House was back in 2012, and things have definitely changed in the last few years. The original taproom had closed, and the bar was moved into the brewery. Forklifts moved pallets of kegs and cases behind you as you sampled your way through the draft list. While it was fun to be immersed in the brewing experience, it's no surprise that when new Head Brewer Matt Wiles came on board, he quickly shut that down. Now, along with a brand new menu serving up wiener sliders, pizza, and artisan cheeses, the old tap room is new again and buzzing. With an impressive long and winding bar and plenty of communal seating, the tap room is comfortable and familiar while offering a view of the new German brewhouse worth admiring as you sip on your fermented beverage. Since inception, Atwater's claim has been German inspired lagers, and while the tap list offered a pilsner, weizen, and bock, the menu has evolved to cater to the American craft beer drinker's palate, with the most popular brews being the American style wheat, Dirty Blond, and the luscious Vanilla Java Porter, an English style porter. 5 Beers & 5 Cheeses: There are few things better than beer and cheese in my book, so naturally I ordered the Five Beers & Five Cheeses, the Atwater pairing flight offering five chef inspired cheeses to pair specifically to five different brews, including D-Light, Dirty Blonde, Going Steady IPA, and Vanilla Java Porter. 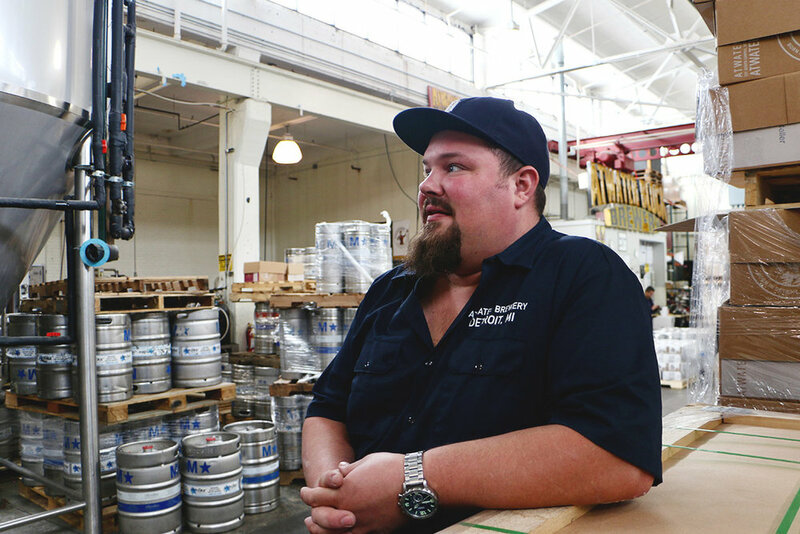 Head Brewer Matt Wiles discusses Atwater's growth, from the Rivertown District brewery.